If you could transport yourself to the Great Galaxy in Andromeda, about 2.3 million light years' distant and the largest neighbor of our Milky Way Galaxy, what would "we" look like? In the 1st part of this mini-series we could an idea from the great HST photo of a barred spiral galaxy, NGC 1703. But have you wondered what COLOR our home galaxy would be? As described by University of Pittsburgh astronomers, the color would be “a very pure white, almost mirroring a fresh spring snowfall.”. 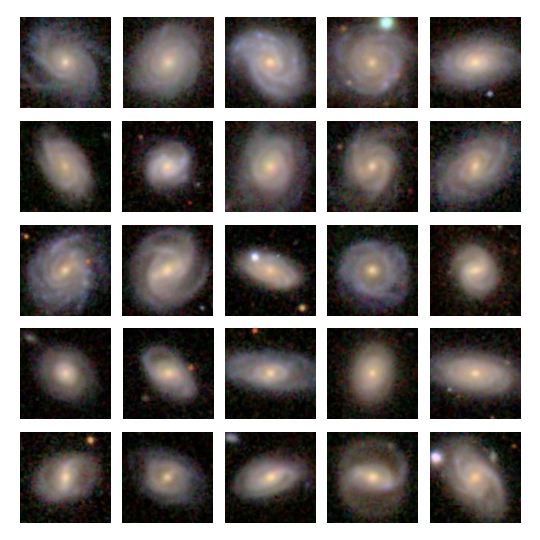 They came to this conclusion by finding galaxies silmilar to the Milky Way Galaxy - see some of the galaxies used in the picture below - and measured their color and other spectral (light) properties.